It’s a cause of frustration for everyone who owns a mower, chainsaw or outboard powered by a 2-stroke engine – getting the fuel/oil ratio right. No matter how careful you try to be, there’s always the nagging worry that the mixture is not right and too much oil will foul the spark plug and cause smoking, whilst too little reduces lubrication and could burn the pistons and plug. But now there is a clever device that takes out all the guesswork and it has just gone on sale in New Zealand. It’s called Mix Mizer, a simple tool that accurately measures the oil-to-petrol ratio and makes sure that the right amount of oil is used. It is part of the FloTool range distributed in New Zealand by Griffiths Equipment and sold in auto accessory and hardware outlets throughout the country. “Everyone with a 2-stroke engine will have had issues getting the mixture right, so this will be a godsend,” says Bruce Walker, Sales Manager for Griffiths Equipment. Mix Mizer is designed as a suction tube, with calibrations that equate to the most popular oil/petrol ratios used in 2-stroke engines. It is calibrated for use with both litres/half litres and US gallons/quarts/pints, from a lean 100:1 mix, down to 16:1. “You only need to know out how many litres or US gallons are in the tank you want to mix with oil and then draw up the amount of oil into the Mix Mizer that matches the ratio used in the engine and inject – very simple, no guesswork and it’s very clean to use,” adds Mr Walker. 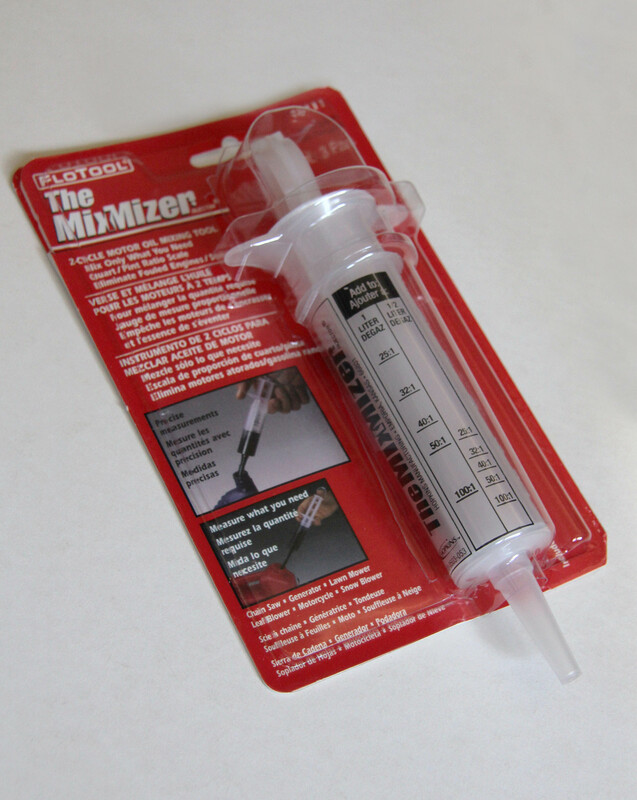 The Mix Mizer also comes with a handy extension tube for adding to tanks in hard-to-reach areas. It’s made from tough polypropylene and is resistant to attack from chemicals, petrol and oil. The US-made FloTool brand is also known for its ingenious range of funnels that offer easy ways to re-fill oil, fuel or any other liquids around cars, trucks, garden equipment and boats, which were introduced to New Zealand last year.